VINELAND – The 8.33-acre North Delsea Drive property, including the former ShopRite supermarket building, is going up on the auction block with a $2.5 million minimum bid. The auction is set for 11 a.m. Dec. 12 at the Ramada Inn, 2216 W. Landis Ave.
“It’s time,” property owner Frank Guaracini told The Daily Journal when contacted Tuesday. The property, part of the Guaracini family real estate portfolio for more than five decades, features the 65,059-square-foot former grocery store, 10,000-square-foot warehouse with nine loading docks, a 4,284-square-foot leased building and 266-space parking lot. The main building remains empty after Bottino’s ShopRite relocated to new construction a stone’s throw away on Landis Avenue about five years ago. Since then, Guaracini entertained the idea of converting the property into a family fun center. When the financing didn’t come together, he posted the property for sale but it hasn’t moved. 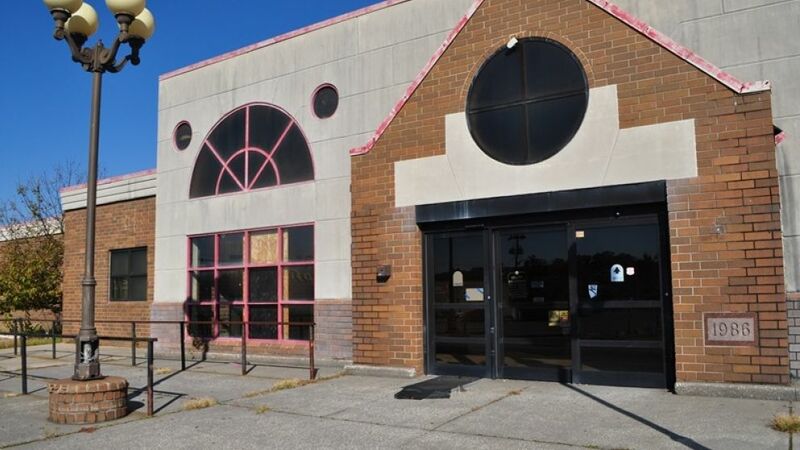 Instead of relisting with a real estate broker, Guaracini called it a “family decision” to sign on with Max Spann Real Estate & Auction Co. to “speed up” a possible sale to put the site on the path to redevelopment. It also frees him of the costs associated with the property including utilities, maintenance and insurance. With the adjacent former Sears property also for sale, Guaracini said there’s an opportunity for a developer to make a major impact on the heavily-traveled intersection, which straddles the city’s downtown and Route 55 corridor. “If there was ever a time to sell, this is it,” Guaracini said. The city’s director of economic development Sandy Forosisky did not return The Daily Journal phone calls on Tuesday. Max Spann Real Estate and Auction Co., based in Hunterdon County, has 50 years of experience in commercial real estate. The trend is to re-purpose these sites for other uses, he said. The auction company recently sold a 400,000-square-foot shopping center in Burlington County slated to be leveled and redeveloped for residential use with ground-floor retail. Another recently sold shopping center in Camden County is to be knocked down and replaced with a medical complex, he said. Spann noted it will be interesting to see the successful bidder’s vision for the Vineland property — will it remain retail or be redeveloped into something completely different? The property, less than two miles from Route 55, is located within the designated Opportunity Zone as well as the Urban Enterprise Zone which offer tax and development incentives. The next preview of the property, located at 215 N. Delsea Drive, is noon to 2 p.m. Thursday. Developers unable to make the designated time may contact the auction company to arrange a personal tour. For more information or property information package, click on maxspann.com.